Just my way of saying thanks to all of you for reading The Lovecraft eZine… and for putting up with me during those times when my illness causes me to release things a little slower than I would like. To receive your free megapack, simply follow The Lovecraft eZine via email — you can do that at the top right side of this page. 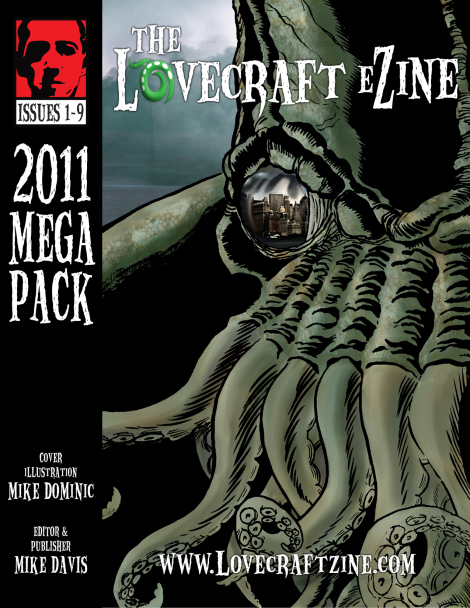 Then, send an email to lovecraftezineprizes@gmail.com and let me know which megapack you would like: 2011, 2012, 2013, or if you’d like to wait for the 2014 megapack (it will be ready in about 3 weeks). If you already follow the site via email, then all you have to do is send the email letting me know which megapack you’d like. Check out the megapacks here: 2011, 2012, 2013. This giveaway will end Sunday at midnight ET. This is really generous of you, Mike. I bought one of the earlier megapacks for Kindle for $5 last year and saw it as a great deal. The ezine is awesome and so are you. Wow, so kind! I already have the MegaPacks and am still wading through 2012. You rock, man! I follow currently via email and Facebook and the site and LOVE it! I would like the 2013 megapack, please, and thank you!